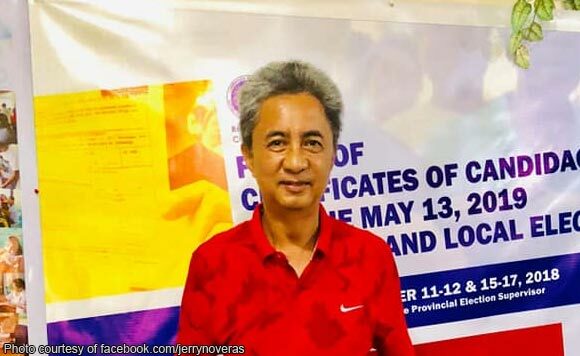 Aurora Governor Jerry Noveras claimed Monday that his political nemesis and their supporters are engaged in “black propaganda” against him on social media. Noveras, who was suspended for nine months last year for allegedly allowing the use of his dump trucks in a barangay development project, said his detractors have allegedly been distributing news clippings regarding his pending cases at the Sandiganbayan. “Isang napakalaking tanong sa aking isipan kung bakit ang pinagtutuunan ng pansin ng aming mga kalaban ay ang mga kaso na wala pang pinal na hatol ang hukuman,” the politiko said on his Facebook account. Noveras, who is seeking reelection this May, said he is not denying he has pending cases before the Ombudsman and Sandiganbayan. But he asserted these have yet to be finally resolved.